Delicious summery recipe, ready in 15 minutes! 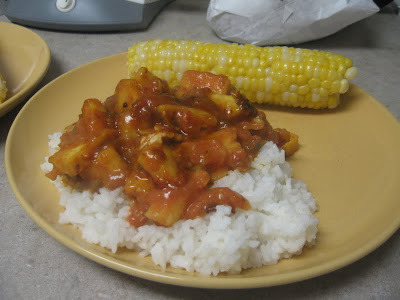 Combine pineapple, salsa, cornstarch, horseradish and honey mustard. Heat oil in frying pan. Saute fish for 3 minutes. Salt and pepper fish. Sprinkle on lemon juice. Turn fish and add salsa. Cover and cook for another 5-6 minutes.